I love this game. It is so different from most of the games I have found. This one has a great and slightly warped sense of humor pervading the entire game. You can click anywhere and are encouraged to do so because you never know what comments or items will be revealed. The art work is great, the music chosen is fantastic, and the acting quality good. The journal was incredibly fun to read, especially the character bios. The puzzles were challenging and entertaining, with a twist to many of the HOG as you often had to complete an action to get another group of items to collect. The match two were challenging, but also funny at times. I found myslef grabbing a magnifying glass to see everything hidden, especially on the bulletin boards. More games like this will make me a very happy camper indeed ;-D I can't wait to try the sequel. I don't know what changed in the franchise between the first three games in the series and this one, but the change was brilliant! I bought this game not to long ago, and I am glad I did. It is wonderful. The storyline was very good, and it kept me playing. 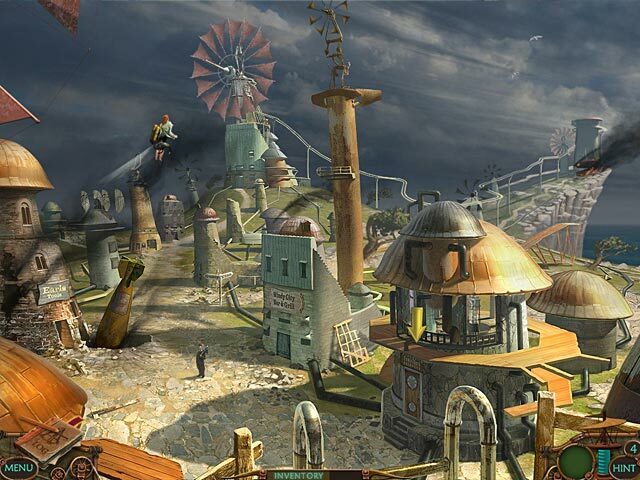 The hidden object scenes were pretty good, and the characters were very well created. The game is very fun. 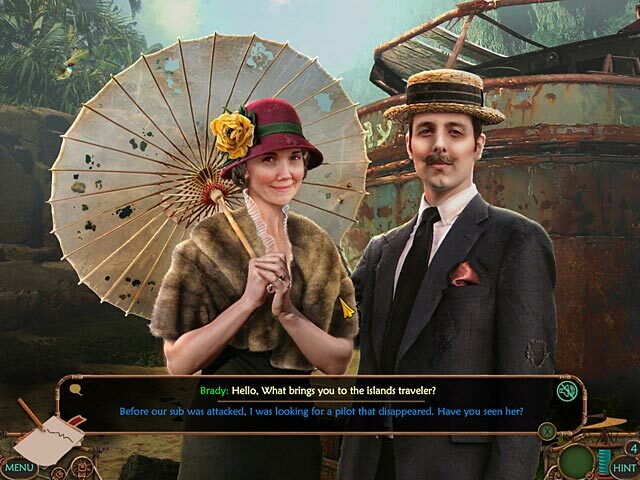 Pros: -Hidden Object Scenes -Great graphics and scenes -Journal was good -Great dialogue. 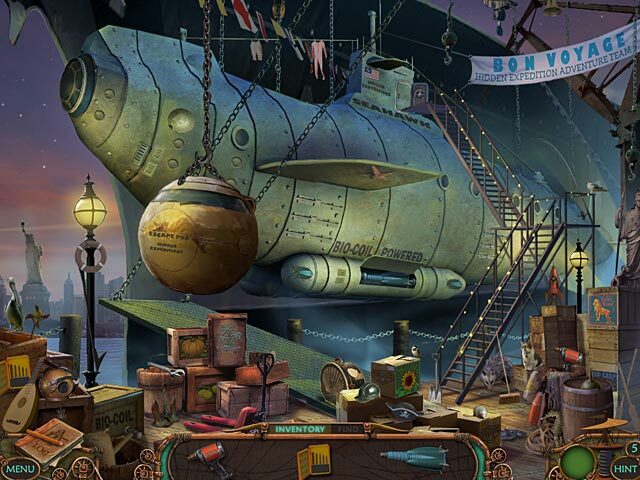 -Music Cons: -There was more of the adventure game than hidden object. -Some of the animations were bad. -Some of the puzzles were confusing (Number puzzle on submarine...) Despite the cons (which some of them minor), this game is worth the buy. Enjoyed this game. Good storyline. Moved you around a bit to gather clues and the HOG's were not difficult. Get Uncharted islands also. It ties right into this one. The storyline is interesting, you have to search for somebody on a strange island. It's more an adventure game than a HOG. There is only one game mode. - The graphics are clear, the objects in the HOS easy to find. - The puzzles are really interesting, some easy, others more challenging. And there are many of them! - There is a journal with the clues you find, and where you can also see your objectives. This is helpful, because the hint system is of no use apart from the HOS. - There is no map, but not too many locations, so you won't get lost. - There are not too many dialogs, which I prefer. The game length is good, about 3 hours. All in all, a different kind of game and I recommend the sequel "The unchartered islands", which is even more challenging. This like the other Hidden Expeditions games was awsome to play. I found it easy to over look things & sometimes miss them but this made me like it more. 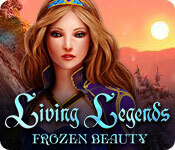 I recommend that anyone who loves hidden object games if they haven't already, try this. A very interesting game to play. The graphics are imaginative, someone with a great imagination thought of this storyline. I couldn't get enough of this game, and did not want it to end. Only needed to check the walkthrough a couple of times. The help button worked great to keep me on track of what to do. Great game from start to finish! This is a one of the best! Not for the novice player...unless you really enjoy a challenge. One of the best HO games ever! 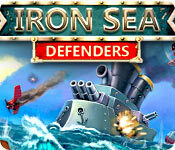 Great graphics, fun twists, challenging mini games, just a great over-all experience! I own all the Hidden Expedition games and never disappointed. If you love HO you will love this game!